As an avid reader, I receive daily emails from various book-marketing services. These services notify readers about discounts on both traditionally published and self-published books. Many featured books are even FREE. Through notifications from these services, I usually pick up five to 10 books each month, all for less than the cost of a monthly Kindle Unlimited subscription. The first service I became a subscriber of was Ereader News Today. 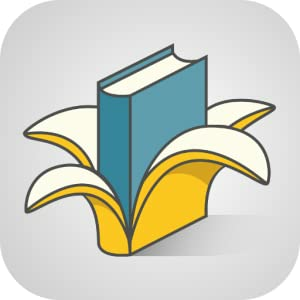 I don’t remember how I found out about this service several years ago, but it used to be my only source for discovering great Kindle book deals. I had no idea so many other book deal services existed! I also naively thought that ENT chose the books to feature in daily emails, which is only half-true. When I published Click Date Repeat, I mentioned to my husband that I had my fingers crossed for it to appear in an ENT email someday. I thought it was a far-fetched dream that would probably never come true. (Funny, I know.) Imagine my surprise when I read in a marketing forum on the Kindle Direct Publishing site that authors can submit their books to ENT for consideration. While I felt pretty silly for assuming for so long that the books sent to me by ENT were handpicked, I was also excited to learn something every novice self-published author needs to know: You have a world of marketing prospects to choose from. Authors submit your book here. My book has not yet been accepted by this service. From what I gather, BookBub is the choosiest by far. (Based on the number of subscribers they have, they can certainly afford to be choosy!) I have analyzed their submission guidelines and tips and always pay close attention to the books that have been accepted, especially those that are self-published. I think I have figured out what I need to do in order to get my book accepted (wait until Click Date Repeat has a lot more reviews and publish another book), but it will take waiting quite a while before I resubmit. *Prices are based on a book promotion price of less than $1. This site prominently displays books that are discounted and allows authors to run giveaways. Yearly membership is $32.98 and includes free credits that allow you to sign your book up for Book of the Day. Readers and authors register here. Both readers and authors benefit from these services. If you are a reader, signing up for one or more service will keep you up-to-date on great book bargains and help you discover new authors. If you are an author, submitting your book(s) might put your work in front of hundreds to thousands of eyes (maybe even over a million if BoobBub accepts you), which could result in a spike in sales, new fans and an increased number of reviews on Amazon or Goodreads. Please leave a comment if you have experience with any other book-marketing sites or if you’d like to add anything about the ones featured here. Thanks!